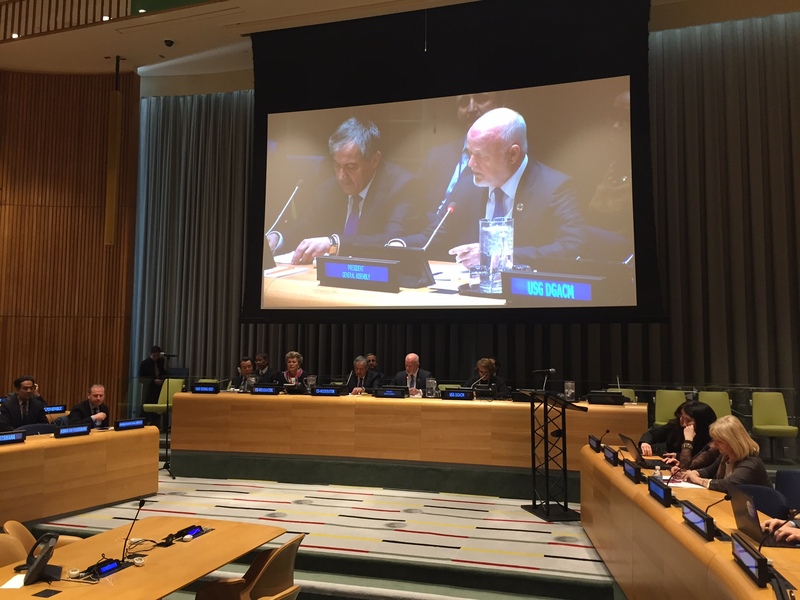 It is a pleasure to be here to address the first United Nations Water Dialogue, on this – World Water Day. I welcome Tajikistan and Hungary to the Dialogue, which they will be co-moderating throughout the day. I also extend a warm welcome to Dr Han Seung-soo, Special Envoy on Disaster Risk and Water. The central aim of World Water Day is to bring focused global attention to tackling critical water-related issues affecting our world. It is therefore befitting that we should mark this day with the start of our discussions on how the United Nations can improve – and I quote – “the integration and coordination of the work of the UN on the water-related goals and targets under its sustainable development pillar, with a particular emphasis on the 2030 Agenda for Sustainable Development”. In 1972, I began my career as a District Officer in Fiji working on rural development. Central to this work was the installation of piped water supplies and water-seal toilets in remote villages. World Water Day is thus dear to my heart, as is all our work on SDG6. As we meet, catastrophic drought and famine are affecting millions of people in Nigeria, South Sudan, Somalia and Yemen. Outbreaks of cholera and other preventable diseases are exacerbating the humanitarian crisis in these countries. With nearly 1 billion people across our world not having access to safe water, with more than a quarter of world’s population lacking access to basic sanitation, and with hundreds of children dying needlessly each day from preventable diseases resulting from poor sanitation, the lack of universal clean and safe drinking water is increasingly understood as a human rights, sustainable development, and peace and security imperative. Indeed, the World Economic Forum’s 2017 Global Risks Report ranks ‘water crises’ as a top ten global risk, linking water crisis to a cluster of environment-related risks – notably extreme weather events, failures of climate change mitigation and adaptation, as well as to migration and conflict. At the same time, the World Bank has said that based on current practices, the world is forecast to face a 40 percent shortfall between demand and available supply of water by 2030, with water stress leading to serious societal unrest in some regions. With the adoption of the 2030 Agenda for Sustainable Development, a universal opportunity exists for the world to scale-up global action on water-related issues, as part our integrated of SDG implementation efforts. Doing so will clearly require Governments, the UN system, civil society, private sector, local authorities, and the agricultural industry in particular, to work together in a new era of collaboration. Cross-sector partnerships can strengthen education and awareness-raising efforts towards the sustainable use of water, the transparency and effectiveness of relevant governance structures, innovation in water-resource management, and in mobilising investments in relevant technology and infrastructure. In all of this, the United Nations has a critical role to play, including through UN-Water as its long-standing inter-agency coordination mechanism. Ensuring that the United Nations is best positioned to support global efforts to implement SDG6, and address other water-related issues, remains a priority for us all. And today’s Water Dialogue is a very important step in our efforts to improve the integration and coordination of the UN’s water-related work, to ensure it takes an integrated and effective approach that bears in mind the 2030 Agenda for Sustainable Development, as well as other relevant UN processes that can help to build system-wide coherence on water-related goals and targets, both at policy-levels and in the field. – and finally, next year’s launch of the International Decade of Action ‘Water for Sustainable Development’ which will serve to develop discussions between Member States and the UN system on implementing the water-related goals and targets of the 2030 Agenda for Sustainable Development. Addressing the growing scarcity of clean and safe drinking water is fundamental to our efforts to implement the 2030 Agenda for Sustainable Development, thereby achieving a sustainable future for all humanity. The United Nations must not shirk from its critical leadership responsibilities, both in terms of raising awareness and implementing solutions. I wish you all the best for your discussions today, and in the collective effort required to ensure the United Nations is best positioned to play its role to the full.